So while I was working on a normal puff stitch hat, I saw the ‘new’ thing called a bun hat. It’s like a normal hat, but then without finishing off the last row. With your own hair, you can make a bun popping out of the hat. Below you can find a video to make this hat. At the bottom of this page you can find instructions on how to crochet a puff stitch en puff stitch decrease. * Make sure to fit it around your head. With my yarn type, it was long enough when doing 62 rounds. If you’re using thinner yarn, you should probably make a few more rounds. If you’re using chunky yarn, maybe try less rounds. Hold both brim ends together and stitch them together with hdc. R1: Attach yarn and sc around. If you used to work till round 61 like I did, you should get 60sc at the end of the row, which is good for 30 puff stitches. Make sure to try the hat a few times while working on these rounds. When it’s long enough, start decreasing. With my yarn type, I had to make 9 rounds of puff stitches. Last round: Sc around to finish the hole. If you are new to the puff stitch, check out my instruction videos below. NOTICE: The written instructions, illustrations, photos, and patterns herein are protected by copyright law. You are free to link to the patterns, but please do not copy! I noticed in a comment that you mentioned being ashamed of your accent. I just wanted to say my dear that an accent is like the notes of a song, they are all different but together they create beautiful music, and music makes the world go round and soothes the savage breast. You are a very talented, generous person, who is adding to the Symphony of our hearts. You go girl! Hi! Very easy-to-read description:) Thanks! Wilma, I love this pattern, it is so simple and my grandkids love their messy bun hats..since the all have long hair, they love the fact that they can pull their pony tails through the top. I have made 8 of them . Thanks so much for sharing this pattern . Just need to ask a question. Do you skip a stitch between puffs. Yes, I do. If you want a hat with less gaps/holes, you can make a puff stitch in every stitch. It takes more time and yarn, but will be warmer. Hi . I love this video. Very well done. how much wool for a ladies hat did you use please.thankyou. 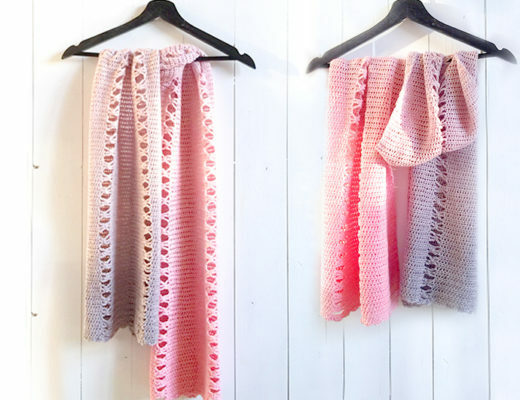 Absolutely love this pattern,have made several of yours,but will need more patience to do winter snowflake pattern.keep crocheting and sharing. Thank you so much for the pattern. It seems really fast to do. And I love you accent. thank you for the pattern, i’m loving how it has turned out so far! I did change the brim a little bit to make it easier to stitch, but I love it! Love your pattern. Made 6 for granddaughters for Christmas and making more. Thank you for the written instructions!! I found the video first but the written instructions answered my questions about decrease. It is a lovely hat which I plan to make soon. What size yarn should be used ? Will worsted weight work ? Yes, I used worsted with crochet hook H/J (depending on the yarn). Just a couple of questions can you let us know how much yarn did you need for the hat and also can you show us a version finishing it will an elastic hair band? I just love it but I’m not very advanced. However, I am a quick learner. Thank you for sharing. I love this hat! Made for a gift 😀 and Im sure the receiver will love it! One note; My puff stitches looked really small, so instead of 3 loops, I used 6 and it turned out perfect! I also took out the chain 1 between puffs to begin decreasing 😉 Thank you for a great and easy pattern! Hi Wilma, I too love your teaching ability. I didn’t realize I am doing my hat with acrylic. Is this ok? Do I need to make some adjustments? You are doing a wonderful job and so young too. Barb. 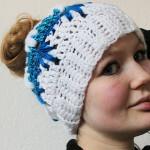 Where you used 60/30 stitches, if I needed to make the hat smaller or larger, is there a particular multiple of a number I need to use for the repeat part of the pattern to work out? It’s beautiful! Just wanted to say Thank you! With *3pfs, 2pfs together* I mean you need to make 3 normal puff stitches and then decrease (2pfs together) like in the video below). Next round you’ll make 2 normal pfs and then decrease. Definitely makes more sense. So for “3pf” is that a normal “pf?” I think I understand the “2pf” from the second video. I had to tear it apart anyways because the hat was too loose. Exactly! Pfs is just a normal puff stitch and decrease means you combine 2 stitches to get less stitches in total. You’ll need to decrease at the end of the hat when you reach the desired height. I didn’t follow your pattern exactly, but it did help me start a hat that I made up as I went for my seven year old. Unfortunately, I made it a little too small, but it fits two year old perfectly. Since she doesn’t have enough hair for a ponytail, I closed up the he and added a pom pom. She won’t take it off. I’m going to go get more yarn and make a dozen or so for Christmas. They only take about an hour! What a great pattern and awesome videos. Don’t be self-conscious about your English to accent, I understood you perfectly! Sorry about all my typos, I’m usually much better at catching them. Thank you so much. I’m glad the first version fits your youngest daughter. Also with a pom pom it’s a great hat! 🙂 Great solution! If you’re on Etsy, make sure to list these, I’ve heard many people are making great christmas sales with these hats! It’s really popular at this moment. Thank you so much!! Love the pattern! Was wondering… if Inwanted to add a hair elastic, to make this for a bun rather than a ponytail…. 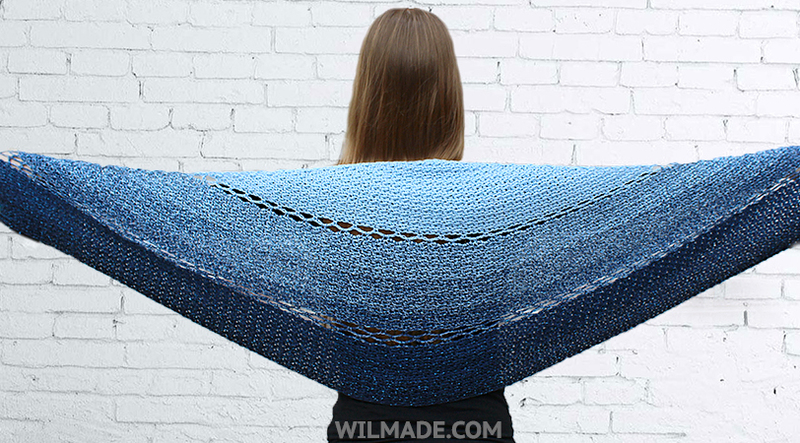 should I just crochet around it in the final row of single crochet?? Any advice? Thanks!! Yes, I think you can do that. Or maybe try working from the top to the bottom. In this case you need to increase instead of decrease. And the brim is a bit different to make, I think you can make chains + hdc + insert hook in the puff stitches. If you know what I mean.. A bit hard to explain! Hi…Can you tell me what yarn you used please? Beautiful!! Do you happen to have a video on how to do the puff decreases? That’s the only part I’m stumped on. Thanks so much!!! Thank you. I’m returning to crocheting and really appreciate your video. I was able to transfer from laptop to TV for easier viewing. You do a wonderful demo. Very clear and easy to follow. Bless you. Thank you for the pattern! The world needs more people like you. 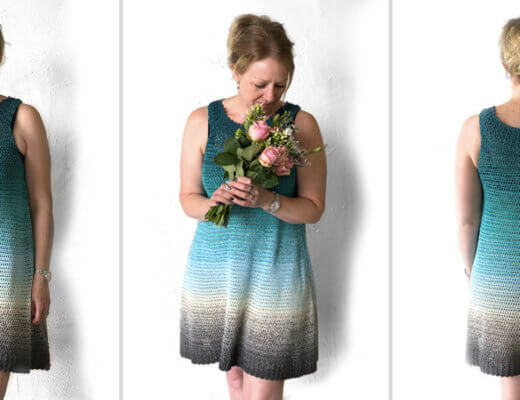 The first few people to post free patterns quickly got greedy and turned them into paid patterns instead. So naturally, I looked at their photos and made my own pattern ,which I would have loved to have shared but I’m inept in the ways of publishing patterns ~plus I don’t think I’d have enough patience for the people who ask a thousand follow up questions. For me it is enough that you shared your pattern graciously, I’ll figure out my own issues. Lol. Happy Holidays! Thank you so much! Your message put a smile on my face 🙂 Also, feel free to ask! I will share a longer instruction video as soon as possible! Hi i love the look of this pattern , but the instructions a are confusing . How do you start a new round of puff stitch? Close the round with a slip stitch. Instead of chaining three, just make a long loop and count that as your first pull up 🙂 I’ve made a longer video showing this, I still have to edit it. Will post it as soon as possible! How do you move from one row of puff stitches to the next? Connect with slip stitch and chain 3? Yep, connect with a slip stitch. Instead of chaining three, just make a long loop and count that as your first pull up 🙂 I’ve made a longer video showing this, I still have to edit it. Will post it as soon as possible! How’d you go from 60 stitches to 30 stitches? I had 50 stitches and started to do my puffs but then the hat didn’t fit… What does your puff stitch look like and into eat stitches…. After a puff stitch you chain one and skip a stitch. This means 1 puff stitch takes 2 stitches (including the skipped stitch). I’ve added a video showing how to crochet a puff stitch. Hope this makes it more clear. If not, feel free to ask! P.s. I also made my hat too small the first time, try making the puff stitches a bit less tight. Also, fit the hat on your own head a couple of times to make sure it’s not getting too small! Okay so I’m not new but for some reason in the decrease rounds it’s increasing! Can anyone shed some light? Sharp hat!! Thank you for the pattern!! Which puff stitch? The 5 loop, 7 loop, or 9 loop? How do you get only 30 stitches from 60? On subsequent rows, do you crochet into the puff stitch or is there a space between that you crochet into? After pulling up 9 loops, you make a chain to finish of the puff stitch, followed by another chain. Now you skip a stitch and start your next puff stitch. This means 1 puff stitch takes 2 stitches, 60 st = 30 puff stitches. This indeed creates a space between the puff stitches. Next row you’ll make puff stitches in these gaps. I used 9 loops (inserting the hook 4 times), but you can also do less or more loops if you prefer. I love this version. I think this will be the first one I try. Thank you.